Signature Concrete Design is your complete outdoor living contractor – from design through installation, we work with you to create your perfect outdoor space. 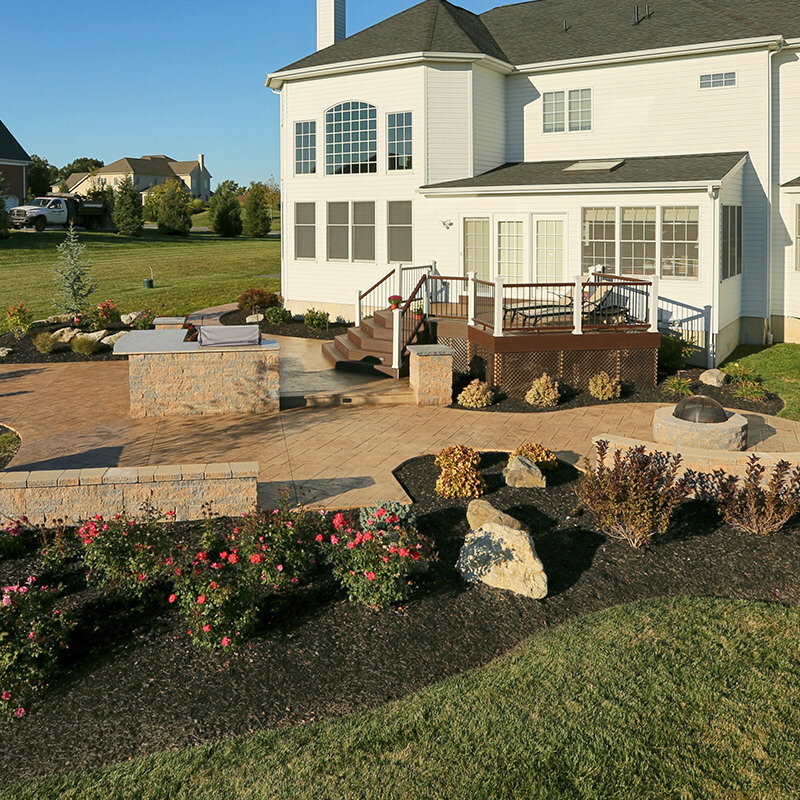 Whether it’s a residential or commercial project, we’ll solve your outdoor landscape challenges with a wide range of hardscape and landscape services. Proudly serving The Lehigh Valley, Allentown, Easton, Bethlehem, Macungie, Center Valley and beyond. 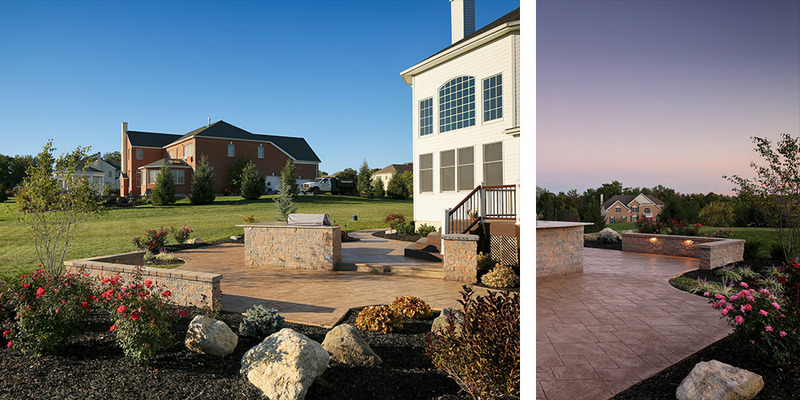 A locally-owned and operated business, we artistically craft our clients’ outdoor living areas in the Lehigh Valley and in Northwestern New Jersey. We are dedicated to keeping up with the latest design trends, technologies and equipment to provide our clients with the best products and services available. We are firmly committed to training and are certified applicators for several product manufacturers. You’ll have trained professionalsproviding you with the latest landscaping products and proper application techniques. We stand behind our work – and provide a warranty. Signature Concrete Design is fully-insured with both liability and worker’s compensation insurance. We proudly serve Allentown, Easton, Bethlehem, Phillipsburg, Macungie, Breinigsville, Center Valley and beyond. Robert is an extremely talented landscape designer with a strong design background and thorough understanding of landscape maintenance. His stunning 3D landscaping designs allow each client to visualize their ideal outdoor space. He works closely with you – explaining the process and choosing the proper elements for your unique outdoor landscape. Signature Concrete Design believes that strong relationships are the foundation of successful outdoor living landscapes. We want to enhance your property and increase its value – not simply maintain it. We think about what your site needs today – as well as what your future needs may be as your landscape matures. We have a wonderfully dedicated staff of expert professionals with impeccable taste who enjoy their work and it shows. We believe in quality design & installation at a great price, and we want you to be completely satisfied. Signature Concrete Design understands that investing in your property is always a concern. We work with you to create a realistic budget and then stick to it. And if you need to complete your project in phases, that’s how we’ll structure it. At Signature Concrete Design, we can identify potential site issues and recommend solutions that meet your needs and your budget. We want you to have an incredible design that works for you. We know that landscape design is more than just hardscape elements like patios, walkways, pool decks, or outdoor kitchens. That’s why we created our sister company – Signature Landscape Design. Our landscape design team creates unique plant landscapes that fit your style of living. One company for everything outdoors – one consultation, one design and one installation. Our goal is to make your project simple for you.